Bio: Ms. Jenny completed her BS in Analytical Chemistry at Peking University, China and MS in Medicinal Chemistry at University of Connecticut, USA. 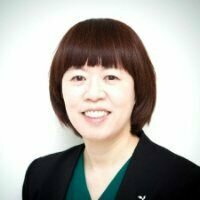 She has more than 20 years executive/lab management experience for bioanalytical and analytical operations in support of drug discovery, pre-clinical and clinical drug development and proficient in GLP, GMP, GCP, OECD, ICH and 21 CFR part 11 regulations. Her expertise includes in building organizational quality system, staff training, bioanalytical/analytical method development/validation, bioanalytical sample analysis, analytical development for CMC submission and chromatography purification. She has been a selected member for GBC to make recommendation for harmonization of global bioanalysis practices. She is an author and coauthor for more than 30 publications.